Karl Marx argues that religion works to calm uncertainty over our role in the universe and in society, and to maintain the status quo. One of the most frequently paraphrased statements of Karl Marx is, religion is the opium of the people. Karl Marx argues that religion plays a significant role in maintaining the status quo by promising rewards in the after-life rather than in this life. Social inequalities result from the differences inherent in class structures, such as the inequality between the proletariat and the bourgeoisie. One of the most frequently paraphrased statements of Karl Marx is, religion is the opium of the people. It was translated from the German original, “Die Religion… ist das Opium des Volkes,” and is often referred to as “religion is the opiate of the masses. ” Taken in context, Marx is arguing that religion was constructed by people to calm uncertainty over our role in the universe and in society. 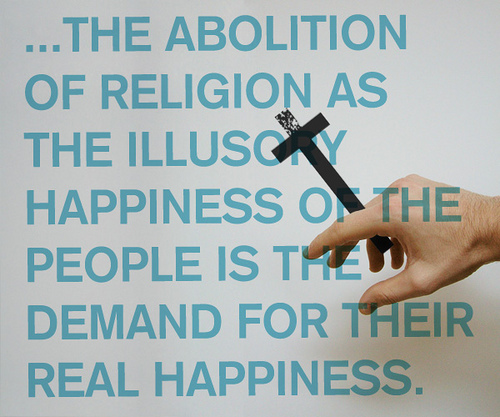 Religion as opium of the people: Abolition of Religion as the Illusory Happiness of the People. Early social theorists offered explanations and analysis of religion in terms of the function of religion in society, the role of religion in the life of the individual, and the nature (and origin) of religion. With ‘the social-conflict approach,’ Karl Marx argues that religion plays a significant role in maintaining the status quo. Marx argues that religion accomplishes this by promising rewards in the after-life rather than in this life. 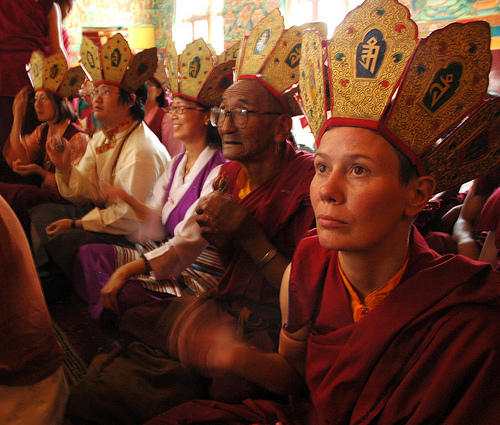 By focusing attention on otherworldly rewards, religion pacifies members by providing a worldview that deflects attention that would otherwise be directed at the inequalities of this world. Marx’s approach to sociology was critical in the sense that, in contrast to the knowledge for knowledge’s sake approach, it advocated change. Criticism of the system in place when he was writing was inherent in Marx’s approach; because of this, he took a particular stand on the existence of religion, namely, that it should be done away with. His efforts were, in his mind, based solely on what can be called applied science. Marx saw himself as doing sociology and economic theory for the sake of human development. 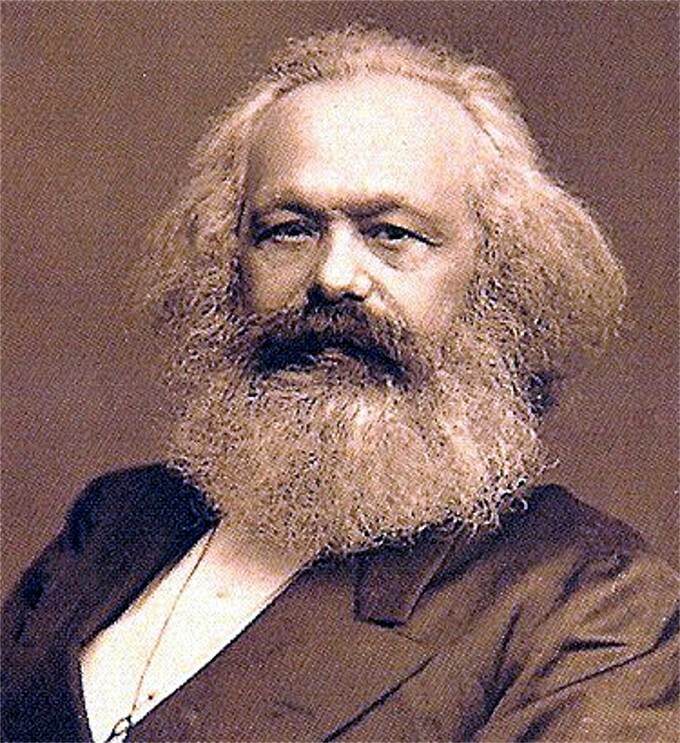 As Christiano states, “Marx did not believe in science for science’s sake…he believed that he was also advancing a theory that would be a useful tool in effecting a revolutionary upheaval of the capitalist system in favor of socialism” (2008, 124). As such, the crux of his arguments was that humans are best guided by reason. Religion, Marx held, was a significant hindrance to reason, inherently masking the truth and misguiding followers. Marx viewed social alienation as the heart of social inequality. The antithesis to this alienation is freedom. Thus, to propagate freedom means to present individuals with the truth and give them a choice to accept or deny it. In this, “Marx never suggested that religion ought to be prohibited” (Christiano 2008, 126).